Since Metabase and the MariaDB is hosted on the same host (guessing you’re not using containers), then the connection to MariaDB should be 127.0.0.1, since Metabase is connecting locally. Check your MariaDB logs to see if it more information about the connection. 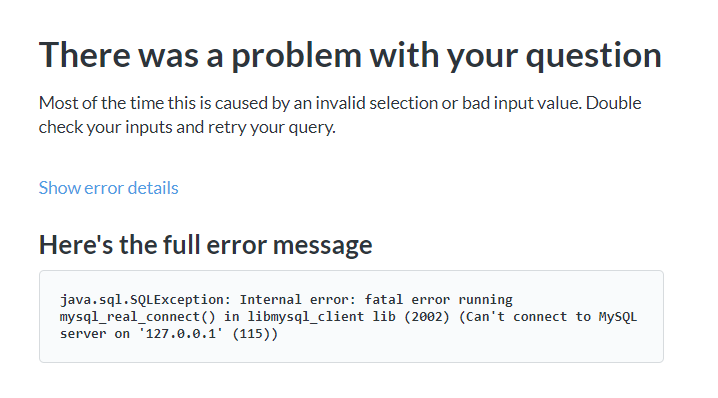 Thank you for your feedback, after doing some investigation, the issues caused by mariadb columnstore pm, we have 2 pm and the second one have some issues if we submit a complex query.